May 2017 was one of the busiest months at Digital Rights Foundation. With a talk at Carter Center, one at University of Harvard, the launch of a research study, a national conference, two workshops, and multiple events and sessions throughout Pakistan - the team was busy making the internet safe and accessible for everyone. This post summarizes the activities in May 2017 at Digital Rights Foundation. 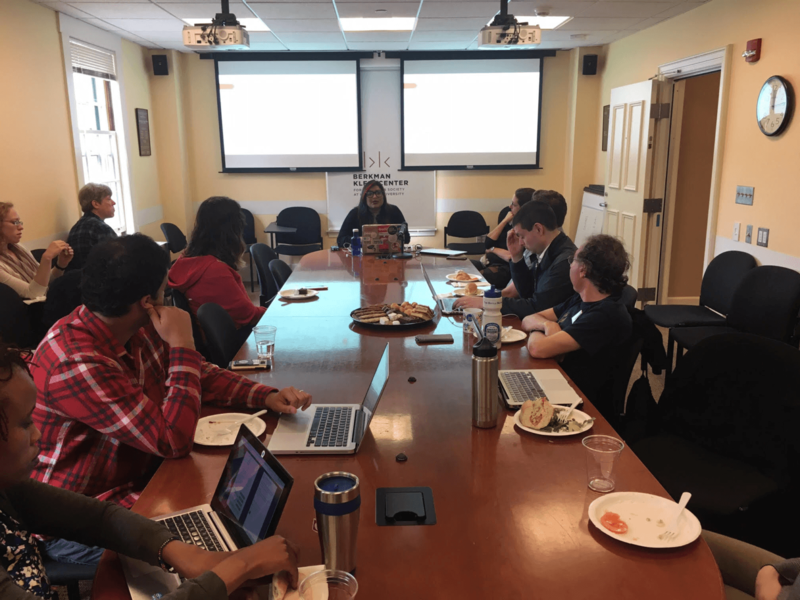 Nighat Dad spoke about "Digital Rights and Online Harassment in the Global South" at The Berkman Klein Center for Internet & Society at Harvard University on May 3, 2017. Nighat's talk focused on how people in the South are unaware of their digital rights. They, especially women, face online harassment and have no support to handle the trauma that comes with it. She also emphasized on the fact that cyber threats very often translate into offline consequences. 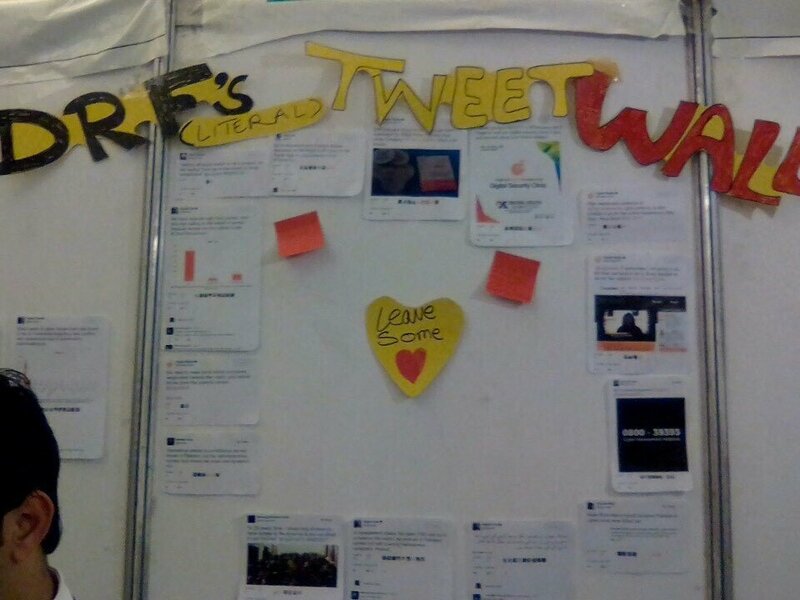 In early May, DRF organised a free Digital Security Clinic at the Digital Youth Summit in Khyber Pakhtunkhwa (KPK). Our 3-person team dispensed digital security advice, raised awareness about cyber harassment, and gave people hands-on demonstrations on how to use important digital security tools. The clinic was an immense success, serving approximately 320 over two days--that’s around 20 people per hour! Nighat Dad addressed the former US President Mr. Jimmy Carter, and Senator Mr. Bernie Sanders at The Human Rights Defenders Forum organised by and at The Carter Center. Nighat talked about some major issues that concern digital rights and privacy of the global citizens, including the laptop ban that Nighat says is actually "the Muslim laptop ban". She also emphasized on the US mass surveillance and the Muslim travel ban. According to her, these human rights violations by the countries like the United States of America set bad precedence for other countries like Pakistan that adopt their practices and laws from the west. Watch the video here as she speaks to the room full of human rights defenders from around the globe. 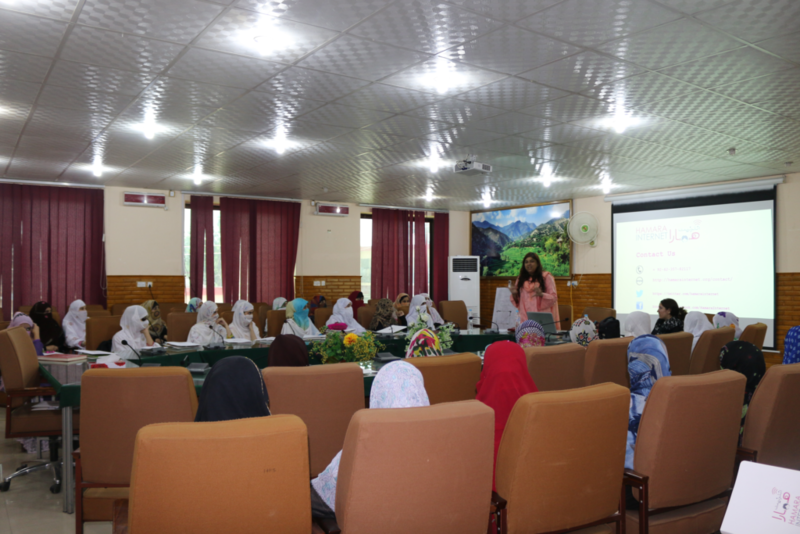 Digital Rights Foundation held an awareness raising session with the students of Bacha Khan University, Charsada in collaboration with Friedrich Naumann Foundation (FNF). The session was held to create awareness among women about online violence, abuse and harassment. Digital security tips were also given to women in the session to create awareness on how women can protect themselves online. University students actively participated throughout the session and shared their queries and stories regarding online harassment. Nighat Dad has been selected as one of the TEDGlobal Fellows for 2017. Nighat along with 20 other fellows for 2017 will talk at the TED stage in August in Arusha, Tanzania. According to the TEDGlobal website, “[The TED Fellows] are building companies, sequencing rare diseases, exploring the stars, making music, saving lives, mapping political violence, and much much more.” Details here. Nighat has been defending digital rights and advocating for the open internet access for all in Pakistan since 2012. She has been named TIME’s Next Generation Leader 2015, has won the Atlantic Council Award, and the prestigious Human Rights Tulip Award in 2016. 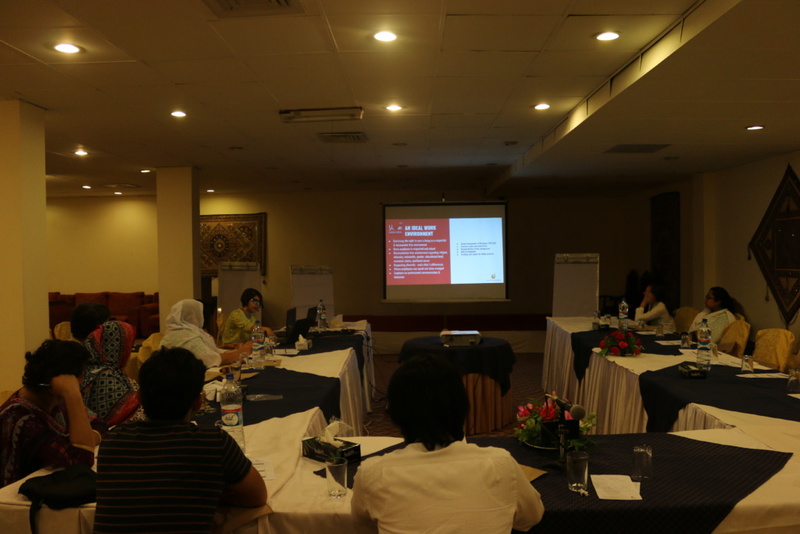 DRF held a workshop under the Hamara Internet banner in Islamabad with civil society representatives to discuss the impact of cyber harassment and online abuse. Participants participated enthusiastically where they discussed various roles of Civil Society Organisations (CSO's) to prevent online violence and harassment. The closed working group also shared their opinion about the role of media and its implications for common citizens. Digital Rights Foundation organized the “Hamara Internet Conference- Challenging the Evolving Threat of Online Violence” in Lahore on May 25, 2017. The conference included women and digital rights activists, and dealt with issues of online harassment, freedom of expression, privacy, data protection, monitoring, the internet economy, and digital access. The event was attended by students, academics, activists, members of the tech industry, journalists, and women's rights organizations. 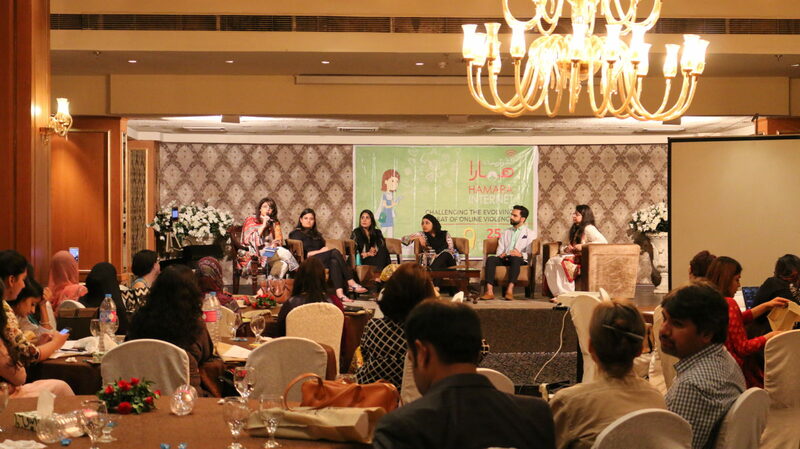 The panels consisted of “Hamara Internet: Understanding Online Harassment”, “Opportunities on the Internet: New Patterns in Business, Employment and Innovation for women” and “Imagining a Feminist Internet with the Help of Hamara Internet." 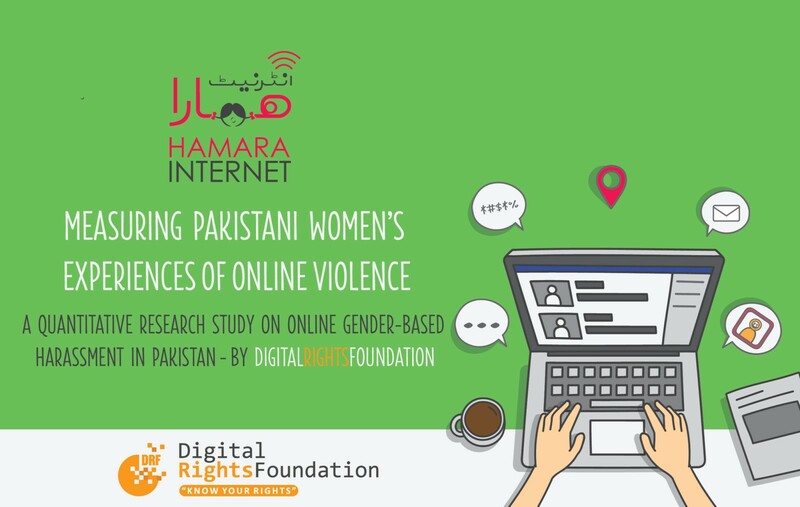 The conference also marked the soft launch of Digital Rights Foundation’s quantitative study “Hamara Internet: Measuring Pakistani women’s of online violence”. Furthermore, Jannat Fazal (Psychologist, DRF) and Safieh Shah (Consultant, Medicin Sans Frontiere) also presented their research on “Online harassment: Implication on the mental health of women globally, based on a review of Digital Rights Foundation’s operations in Pakistan." 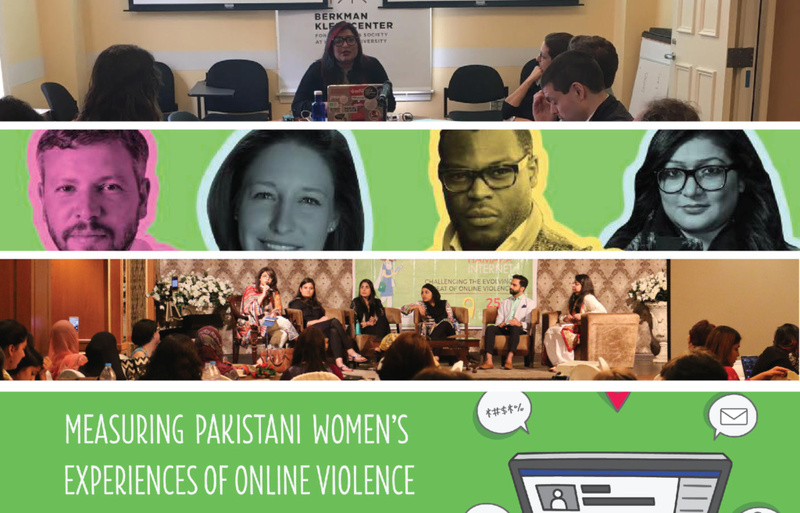 Digital Rights Foundation marked the soft-launch of Pakistan’s first quantitative research study on online violence titled, “Measuring Pakistani Women’s Experiences of Online Violence” on May 25, 2017. The study compiles the data collected from close to 1400 women during the 17 sessions that had been conducted in Punjab, Sindh, KhyberPakhtunkhwa, Balochistan, and Gilgit, to create the first ever set of data around online violence in Pakistan. The study maps different aspects of online violence against women, along with a look at how women use digital tools on the whole. It highlights the need for more awareness about anti-harassment laws. It was found that 72% of the female respondents reported that they were not aware of cyber harassment laws in Pakistan. 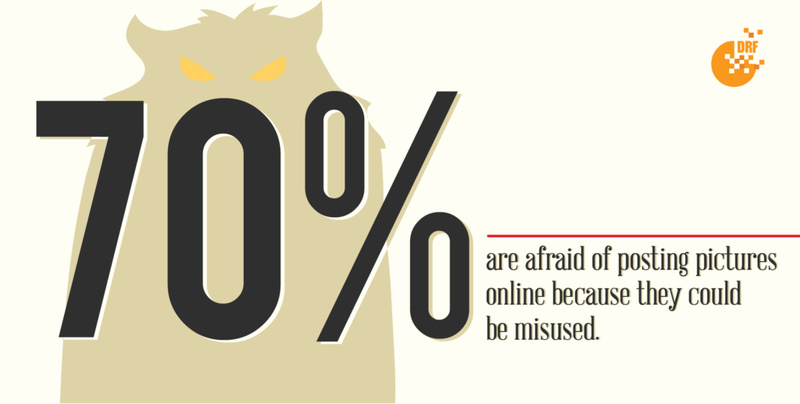 Most women pointed out that they either had not read or understand (24%) terms and conditions of social media websites. Furthermore, 45% of the women felt that they did not report online harassment because they were embarrassed and 47% felt that it would not be taken seriously by law enforcement agencies. The details on the research can be accessed here. Digital Rights Foundation held a workshop on privacy and digital rights on on May 26, 2017 in Lahore. The Workshop discussed the state of privacy rights in Pakistan in light of cyber law and its implementation. The goal of this focus group discussion was to start a debate about the law, its significance and shortcomings in terms of implementation. Furthermore, Digital Rights Foundation talked about privacy rights and the need for a data protection law in light of best practices abroad. 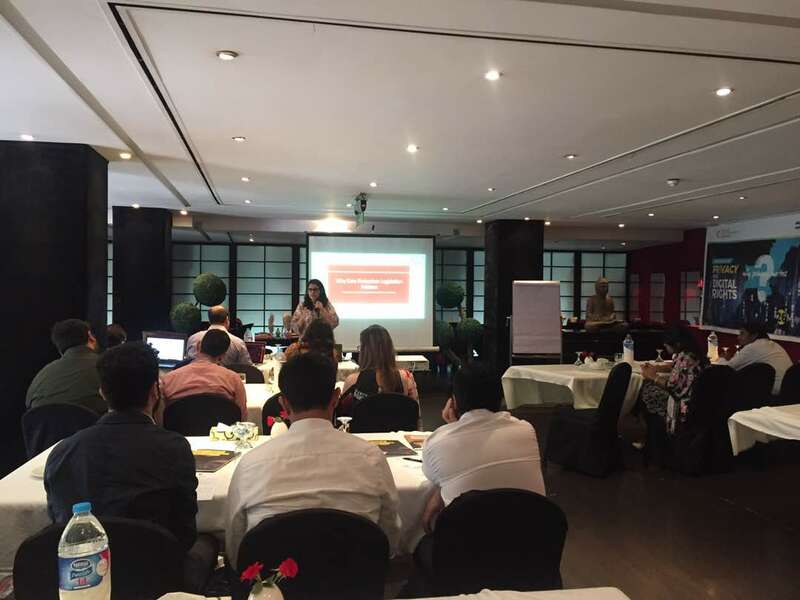 The workshop participants were divided around themes of media regulation (both traditional and social media), SAFE City initiatives and telecommunications policies. The participants put forward several suggestions regarding standard operating procedures, right to know how information is used and demanded transparency from the government. The participants pointed out that social media and blogs are unregulated, and they concluded that there needs to be some SOPs around media ethics and privacy. 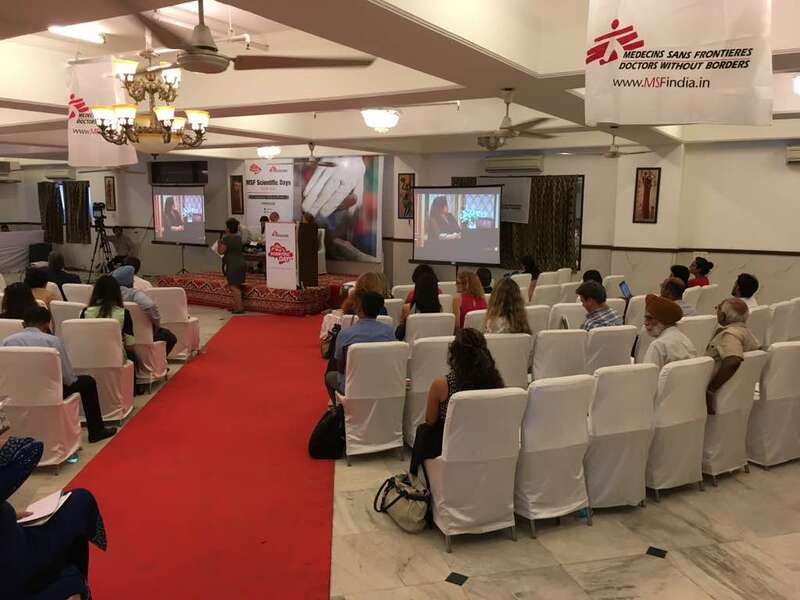 A study on Online Harassment was presented by Jannat Fazal - the mental health counselor at DRF - and Safieh Shah - Consultant at MSF - on MSF Scientific Day 2017 organised by Doctors Without Borders/Médecins Sans Frontières (MSF) in Delhi, India on May 27, 2017. The aim of the review of the data is to highlight the psychological impact of cyber harassment on female mental health in Pakistan. Data was collected through Cyber Harassment Helpline from 406 callers using telephonic questionnaire from December 2016 to April 2017. This included demographics, problem description and notes taken by the experts during calls. Digital Rights Foundation and Girls@Dhabas released a joint statement to condemn the cyber-harassment, abuse and intimidation that well-known professors and activists of Pakistan Arfana Mallah and Amar Sindhu have been subjected to over the past four months. Read the statement here.